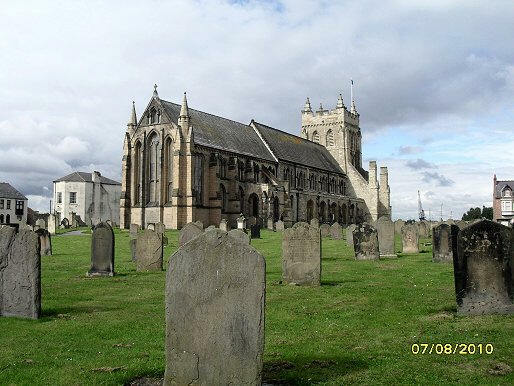 St Hilda’s Church of England, the Headland, Hartlepool, U.K. It was a cold, grey day in November of 2008 when my daughter and her fiancé brought me to Hartlepool. They wanted me to see the seaside and this old church on the Headland. As we approached the old Norman church, I was astounded at the beauty and condition of the church. It was almost a replica on the exterior to that of Roslyn Chapel in Scotland. 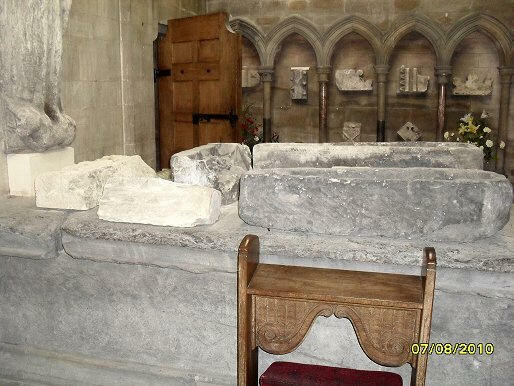 The head stones of the graves look ancient but in fact only approximately 150 to 200 years old. St. Hilda’s is right on the coast line of the North Sea therefore the head stones are weather beaten from the sea brine. The beauty of this church captivated me enough for me to leave Tyne and Wear and move to Hartlepool. I wanted to find out the history of this church because of the strong resemblance to the famous Knights Templar Chapel of Roslyn. My first trip to St. Hilda’s was a beautiful sun shining winter day. It was December. 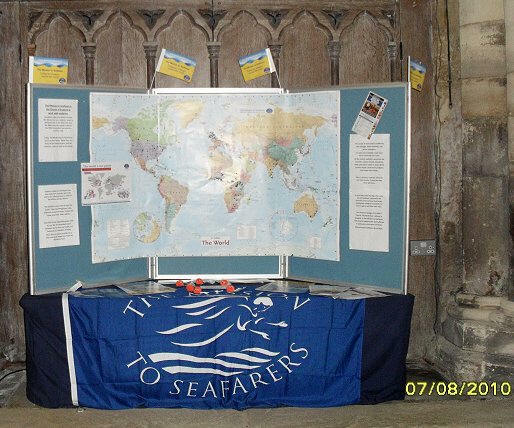 The inside of the church was decorated in Christmas trees from every school in the Hartlepool area. Each tree represented a special message from each of the schools. The elegance of a fine old parish church along with the nurturing of the old building from its parishioners’ gleamed through every stained glass window in the building. The volunteers of the church were so warm and welcoming. The senior deacon of St. Hilda’s was on hand to give me a tour of this very special church. I only regretted nothaving a camera at the time because I was soon to learn one of my ancestors was supposed to be buried there. The great grandfather of Robert the Bruce actually owned the land of Hart. 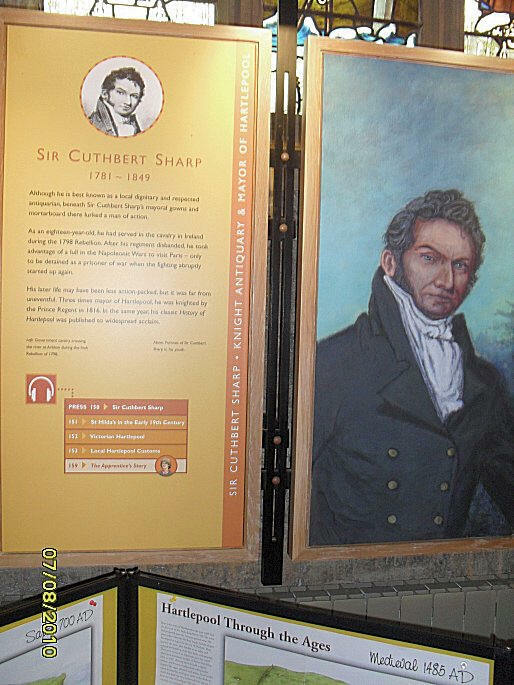 He had died while in Hart before the Bruce’s gained a Scottish Title. 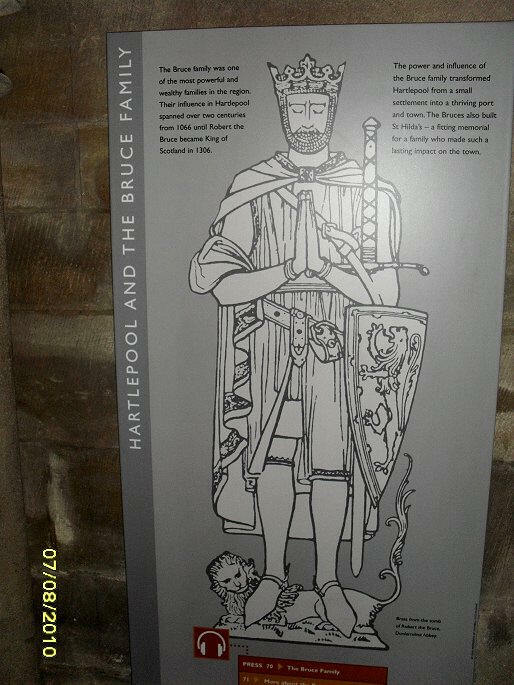 The first Bruce to own the lands of Hart was Adam de Bruce, the son of the first Bruce who came with William the Conqueror from Normandy. 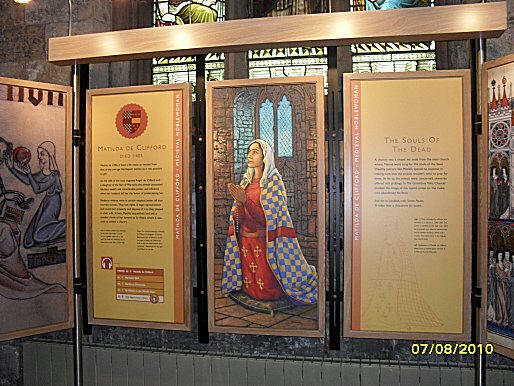 I returned to do an official story of St. Hilda’s to be published on www.electricscotland.com. The church was started at least 1000 years ago. 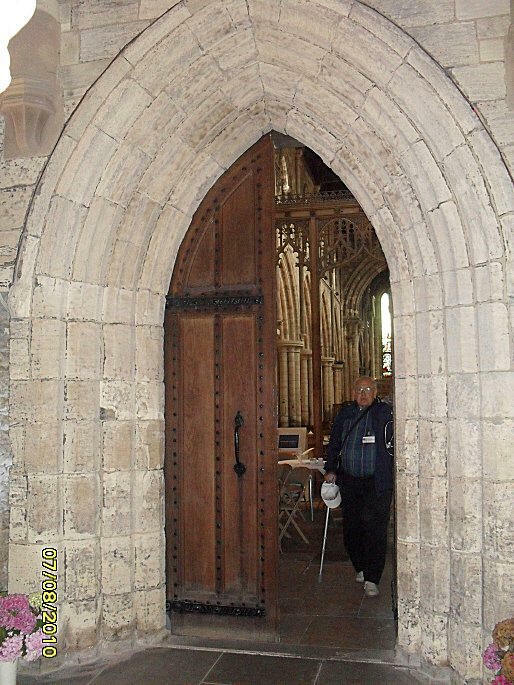 The front entry door will show the architecture from 900 to 1000 AD. This gentleman is an American visiting the church. His group of tourist were very friendly. The church took a hundred years to complete. 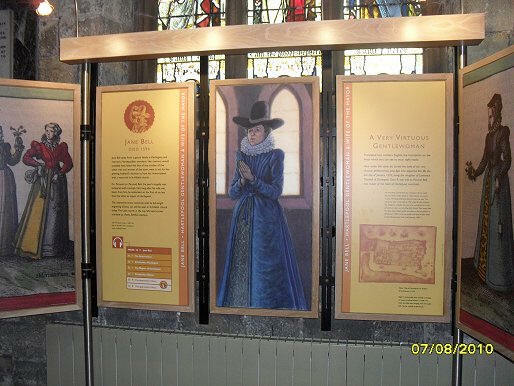 William de Bruce wanted to celebrate his faith. He was a proud man and needed a beautiful place to build his glorious tribute. 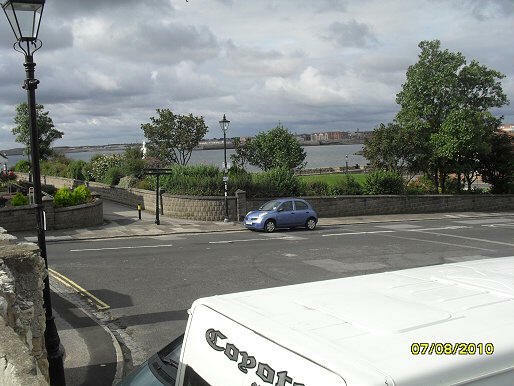 There was no better place than over looking the Hartlepool bay area. Here is what a History of Durham County says about the land grants to the de Bruce’s. Robert de Brus II, lord of Hart, otherwise called Robert le Meschin, married Euphemia, and died about 1194. (fn. 65) His son, Robert de Brus III, (fn. 66) had died before 1191, (fn. 67) and Robert II was succeeded by his younger son William de Brus. (fn. 68). 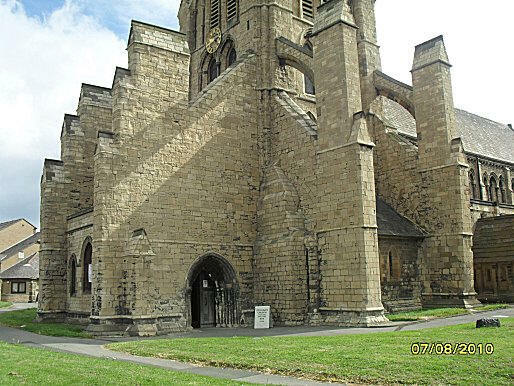 We know the oldest parts of the church were Norman. William used an existing structure and added to it. You can see the difference in the stone work from the alter area and the rest of the church. The alter benches are said to be 1000 years old and from an old monastery that was once nearby St. Hilda’s. I was intrigued as I walked through and took pictures of the people or saints who played a roll in shaping the Hartness Lands. 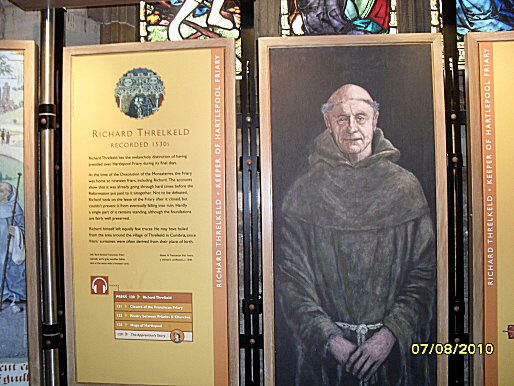 St. Hilda’s Church survived the split of the Bruce’s going to Scotland and Edward the Longshank’s confiscation of all the Bruce lands in England. St. Hilda’s survived the upheaval from the split of the Bruce family. 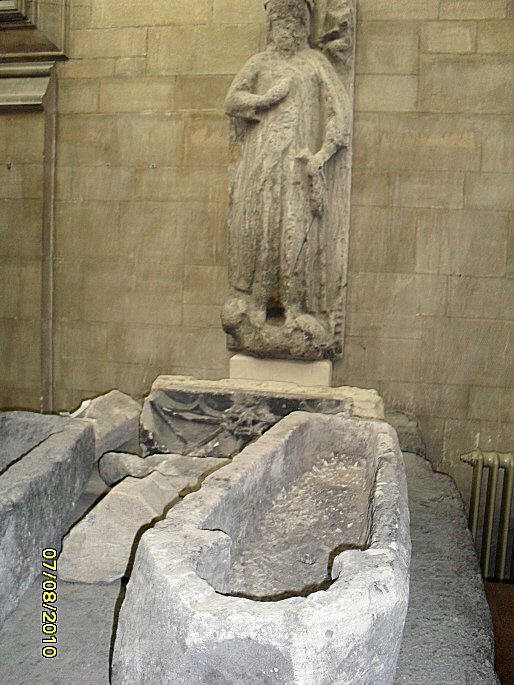 Here is what is left of the tomb of the Bruce, great grandfather of King Robert the Bruce of Scotland. This tomb was originally outside on the back wall behind the alter. This extension was built in the 1700’s to save the tombs from vandals. St. Hilda’s is equipped with modern video and sound equipment for all ages! From: 'Parishes: Hart', A History of the County of Durham: Volume 3 (1928), pp. 254-263. 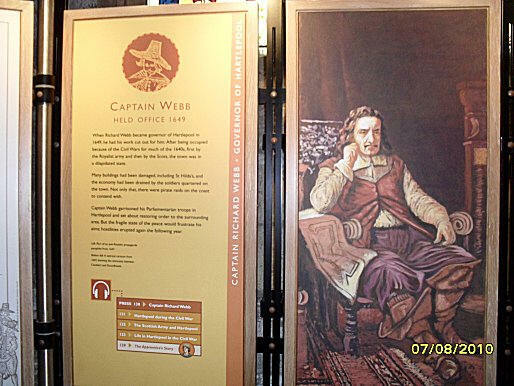 URL: http://www.british-history.ac.uk/report.aspx?compid=42630 Date accessed: 07 August 2010. St. Hilda offers a nice tea/cake room, in which I thoroughly enjoyed along with some wonderful volunteers. 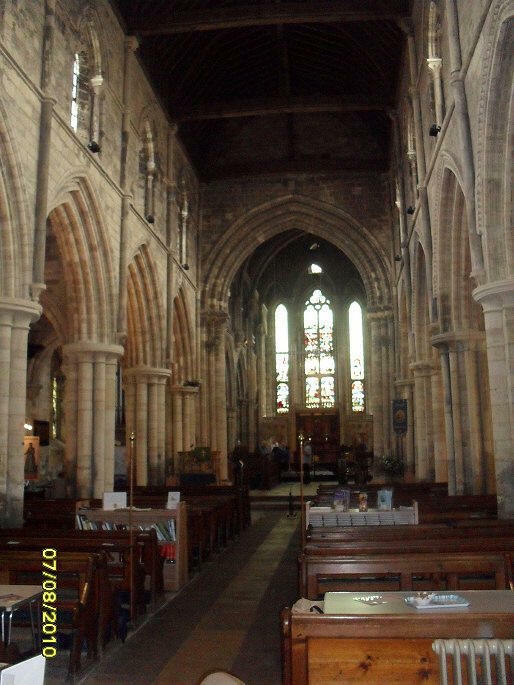 If you are ever in the North East of England, St. Hilda’s is worth a visit! Best of all, it is free!